Baltimore County Councilman David Marks announced on Wednesday that an agreement has been reached to place Neighborhood Commons, or open space zoning, on the 29-acre Maryland State Fish and Game Protective Association off Honeygo Boulevard. Presently, the land is zoned DR 1, or one house per acre. The Neighborhood Commons zoning restricts any and all new development at the property, a heavily wooded site next to Joppa View Elementary School. “I would like to thank Association President David Van Sant for the support, and also acknowledge the wonderful work this organization does in advancing conservation and sportsmanship,” commented Councilman Marks. 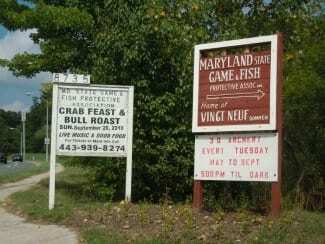 The Maryland State Fish and Game Protective Association traces its roots to 1895. The property is also protected as part of the Maryland Environmental Trust, so the downzoning adds another level of protection. In 2012, Councilman Marks helped add 11 acres to the north of the property to Honeygo Park.